99% of the work for a successful survival fire is done before a single spark is cast. Whether using a modern ignition tool or primitive methods, the most critical moments of the fire building process are the first 60 seconds of flame. 9 times out of 10, the quality of your tinder bundle will dictate your results. Preparation is everything. How well you prepare your fire building materials in advance will determine your rate of success – plain and simple. There is a big difference between 1 and 3. Lack of Experience is truly not knowing what to do. Ignorance is knowing what to do and not doing it. Laziness would fall into the ignorance category. So would RUSHING and PANIC. If you simply don’t have the proper resources in a survival situation to create a proper tinder bundle then there isn’t much that can be done. However, I would argue that creativity is more important than perfect resources and can go a long way in even the most difficult of fire building scenarios. Knowing the important qualities of a good tinder bundle is crucial in putting one together during not-so-perfect fire building situations. If you lack experience in finding, creating or using tinder bundles then hopefully this post will help to lay the solid foundation you need. 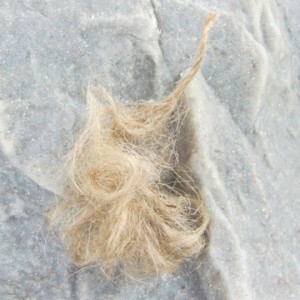 Fibrous: Thin fibers burn easily and quickly – the more hair-thin fibers the better. Not too small. Some tinder bundles can go up in smoke pretty fast. If your bundle is too small, your window of opportunity to get other more substantial kindling materials lit is very short. I always try to start with an tinder bundle at least the size of softball if possible. The single purpose of a tinder bundle is to catch a spark or flame and burn hot enough long enough to ignite larger kindling pieces. I believe the test of a truly worthy tinder bundle is one that can catch on fire with just a spark or ember (such as from a fire by friction set, ferro rod or flint and steel). If it requires the use of an open flame such as a match or lighter then it is lacking in one of the qualities above. When it comes to tinder materials, your creativity is the limit. Tinder materials can pretty much be divided into 3 categories. There is NOTHING WRONG with buying fire tinder products. There are some AMAZING products on the market that I highly recommend for keeping in your survival kits, emergency kits and Bug Out Bags. One product, for example is called Wet Fire. This material’s flamability is absolutely unreal. It will even catch a spark and burn while floating in water. 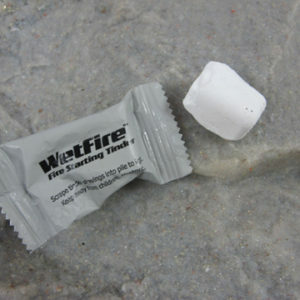 I keep a few cubes of wet fire in every single survival kit I own – including my Bug Out Bag. Another great store bought tinder is called Tinder-Quik or Spark-Lit. These are compact little fire tinder tabs treated with some kind of chemical accelerant and are very effective. If you are able to produce any kind of spark or ember, these store bought tinders I’ve mentioned above will pretty much guarantee you a fire. I highly suggest packing 1 or more in your survival and emergency kits. 1 Cube of WetFire is a part of my daily EDC. I carry it packed into a Pill Case on my keychain. However, if you are ever in a situation when you aren’t so fortunate to have store bought fire tinder available… you will need to rely on your ability to improvise and scavenge for good tinder. This is when understanding the qualities of a good tinder bundle start to really come into play. 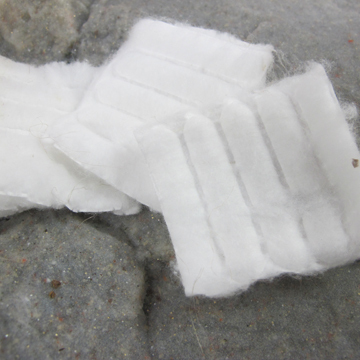 Cotton balls or cotton pads are the perfect tinder bundle consistency – extremely fibrous. The cotton balls by themselves are extremely flammable, but they burn really fast when lit. The petroleum jelly acts as what’s called a FIRE EXTENDER. It basically becomes a fuel that enables the flame to burn longer. I will discuss Fire Extenders and Accellerants later. CHAR CLOTH is also another excellent homemade fire tinder. 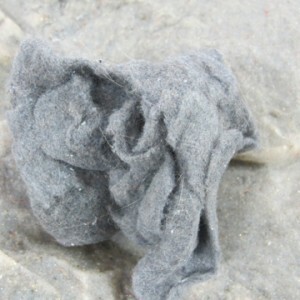 CHAR CLOTH is made by charring 100% cotton cloth. There are many excellent YOUTUBE instructional videos on this – just search HOW TO MAKE CHAR CLOTH on youtube if you are interested. It’s a simple process and a good tool to have in your bag of fire making tricks. Most papers can be rubbed and twisted into a fuzzy ball of excellent tinder material. Depending on the type, it may take a little working but it can be done. 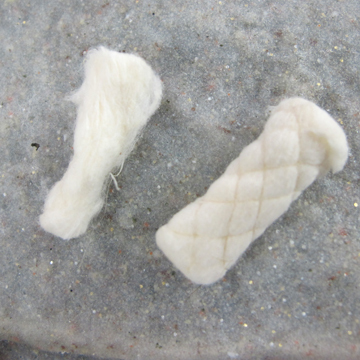 Paper is in essence a bunch of small fibers matted together. Fabric is also woven of small fibers and threads. One time in a pinch for a tinder bundle, I raked the blade of my knife at a 90 degree angle back and forth across my jeans and with each rake a little pile of fibers collected at the base of my knife blade. 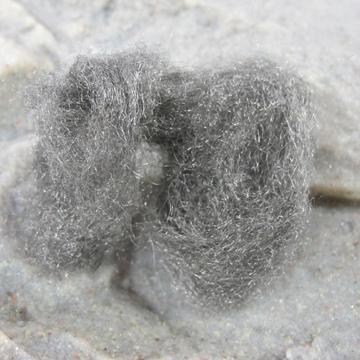 I was creating my own lint. After a while I had a small bundle of fibers in which I used to catch a spark. Once you understand the key properties of the tinder bundle, you can start to think about things and products in terms of whether or not they the have potential to be good tinder materials. “BUSHING” fire tinder between the palms of your hand helps to break it up and expose the small fibers that are so important. 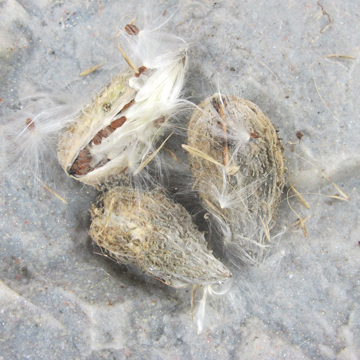 Even in the spring and summer months, many dried seed heads can still be found from the previous fall and winter season. Little critters can also manufacture some excellent tinder bundles for you if you know where to look. 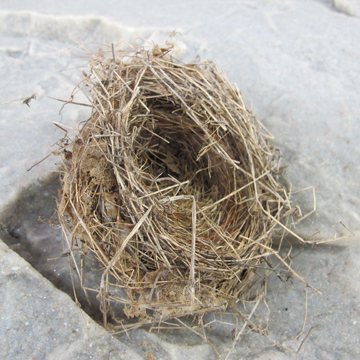 Birds and small rodents build nests that typically make excellent tinder. 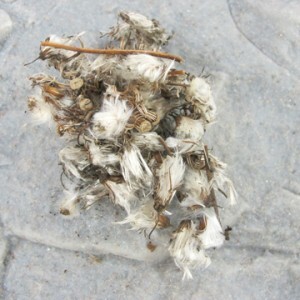 Often, bird nests will dry quickly because of the high exposure to winds, etc. Even when the ground is wet I’ve found dry bird nests nestled in bushes and trees. You’ll find that birds and other small animals are very picky about nesting materials and choose only the finest and softest little twigs and leaves. 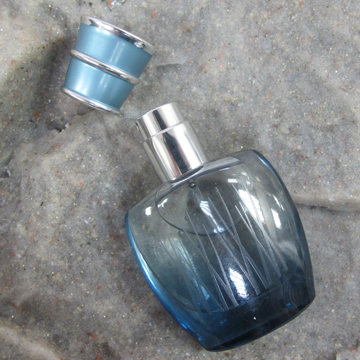 These choice items just happen to be perfect for catching a spark or ember. 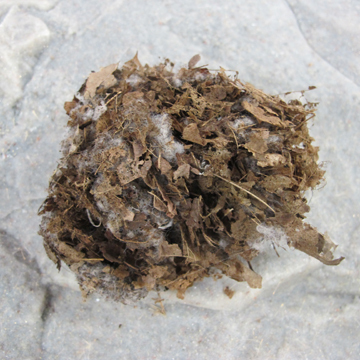 Small rodent nests also make awesome tinder bundles. 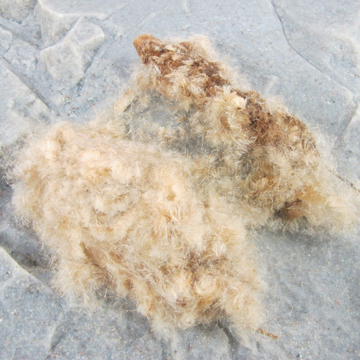 These are typically hidden under logs, brush-piles or even hidden in a small underground burrow. 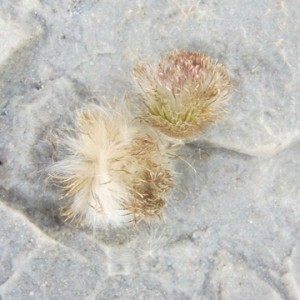 Even though they can take a little work to find – they are almost ALWAYS DRY. Rodents don’t like to sleep in a wet nest and go out of their way to build it in a dry area. 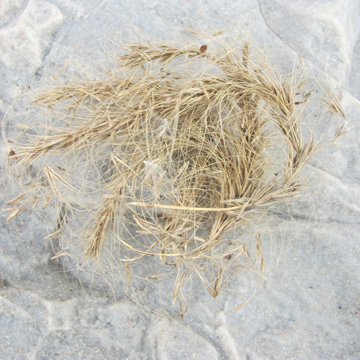 With a little effort you can uncover a dry tinder bundle ‘rodent nest’ even in a down pour of rain. Several tree barks make excellent fire tinder as well. 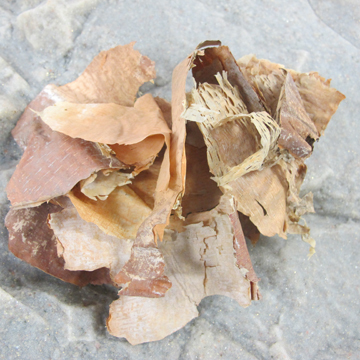 Birch Bark is one of the best tinder materials on the planet and will light with a spark even when damp. The oil in the birch bark is extremely flammable. The resinous bark of a Cedar Tree also makes excellent tinder. I’ve found the best way to collect this is to scrape the bark with your knife at a 90 degree angle. This scrapes the bark off in almost a ‘fuzzy’ consistency which is perfect for catching a spark. A little effort goes a long way. Further rubbing cedar scrapings between the palms of your hands helps to bring out the thin fibers. Mixing fire tinder with a little bit of something flammable will drastically increase your odds of getting a flame going. There are 2 basic categories here: EXTENDERS and ACCELERANTS. Extenders burn slow and steady. Acccelerants are more volatile and tend to burn very fast. If you find yourself in an URBAN SURVIVAL environment you might have access to a huge variety of fire accelerants. Use them to your advantage. The best .99 cents you can ever spend. 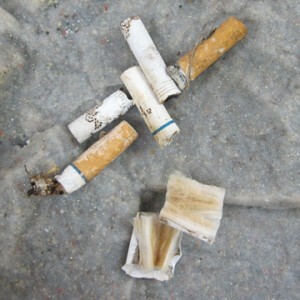 Buy some cheapy disposable cigarette lighters. They are typically only .99 cents or so. Put one in EVERY KIT and Back-Pack you own. Keep a few in your car, on your boat and on any other mode of transportation you use. Pack them in your suitcases. Get in a habit of carrying one in your pocket as EDC. 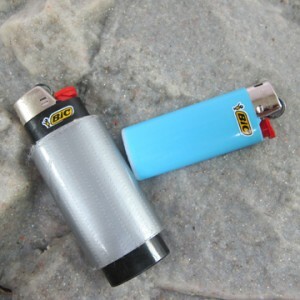 A .99 cent cigarette lighter is the easiest way to start fire. Yes, it doesn’t work well when wet or in high altitudes but I’ll still take a lighter over any other fire tool any day of the week. At my BOB MMXII Clinics I will be going over fire tinders and theory in great detail. If you are interested in attending, check this page for upcoming clinic dates: BOB MMXII. Any questions on Fire Tinder Bundles? Comments? Leave them below. Thanks for this article. I'm focused more on urban survival so I really appreciated knowing about products like Wet Fire. 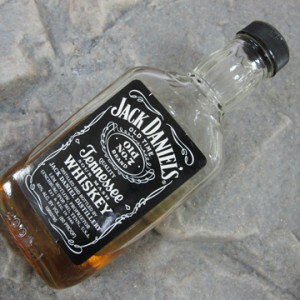 I hate the thought of burning up good whiskey and I wouldn't have considered doing so until I read your article. A lot of good, practical advice. First of all thank you for following me. All the credits of this article goes to http://willowhavenoutdoor.com/. From all the accelerant my personal choice goes to wax because of is heat capacity, stability and duration of burning. I am preparing a small reviews on wax stove that are a good example of this.